Hollywood has been trying to produce a new adaptation of Stephen King’s The Stand for decades, and now CBS All Access has the reins. The Hollywood Reporter brings word that the streaming service has ordered a 10-episode season based on King’s 1978 novel. Josh Boone, the writer and director of Fox’s The New Mutants, is scripting the series alongside SEAL Team creator Ben Cavell. The Stand traces the fallout of a global pandemic that wiped out most of humanity. In 1994, King adapted the novel as a four-episode ABC series starring the likes of Gary Sinise, Molly Ringwald, and Rob Lowe. Warner Bros. and CBS Films began planning a film version in 2011. David Yates and Ben Affleck were attached to direct at various points before Boone was hired in 2014. After he signed on to helm the film, Boone expressed his desire for Christian Bale and Matthew McConaughey to star as Randall Flagg and Stu Redman, respectively. Now that he’s adapting the book for television, it remains to be seen if these casting choices will stick. CBS previously adapted another one of King’s novels, Under the Dome, as a series in 2013. That series was developed by comic writer Brian K. Vaughn and deviated significantly from its source material. Under the Dome ran for three seasons before it was canceled. 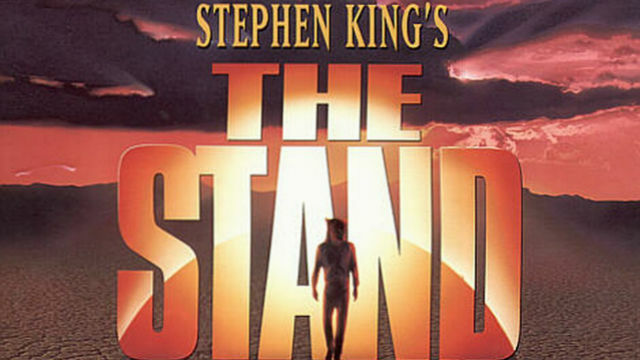 What are your thoughts on The Stand being remade for TV? Give us your impressions in the comment section below!